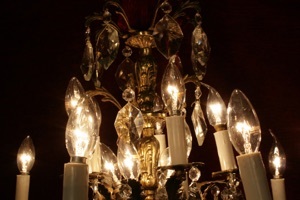 Nice brass and glass chandelier. 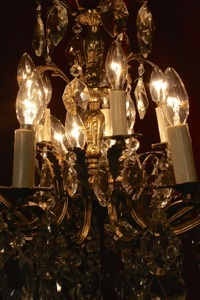 This is a great price for a good sized solid brass chandelier with hand cut glass. Dimensions width 24 inches, height 24 inches. These dimensions do not include the rose and chain which can be added to suit within reason.